+Is there anything better than white in the summer? I think not. White shorts, white pants...gimme! I just want to wear it all the time, and apparently this morning I woke up feeling really patriotic with my red, white, and blue ensemble. 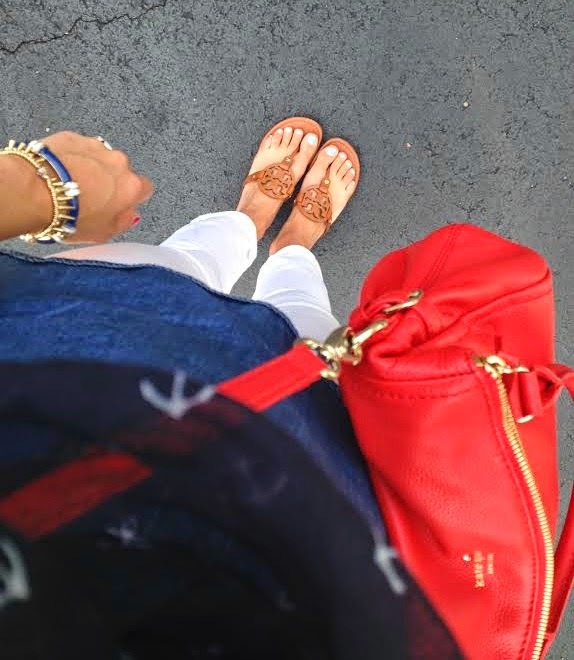 sandals // jeans // chambray top-old, but recommend this one or this one // anchor scarf is a gift from family // purse, sold out in red but other colors available here-including one on clearance! +The best way to start a Friday morning...acai bowl deliciousness. +For months we've gone back and forth between buying a Vitamix or a Blendtec (I mean, hello these things AREN'T cheap!). 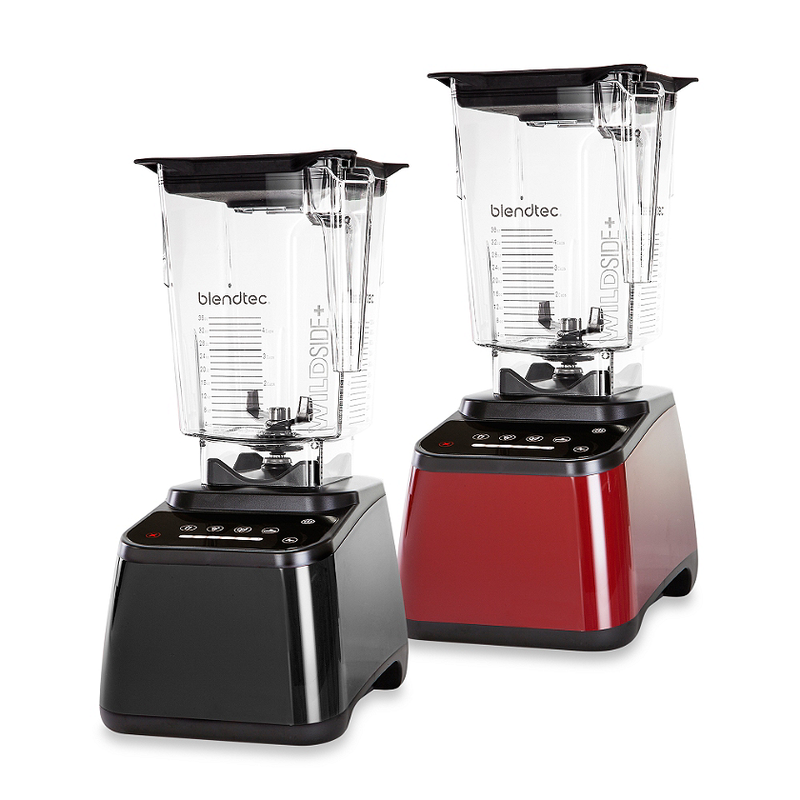 At first, we were sold on the Vitamix until I saw that all my favorite smoothie places and gym uses the Blendtec, and highly recommend it. An employee at Bed, Bath, and Beyond was even raving about it and got a few other employees to join in her in telling us to do the Blendtec over the Vitamix. +This week I got my my new Brooks running shoes in the mail and got to take them for some test runs! Link up with the girls here. i love my blendtec! highly recommend. they also have refurbished ones you can check out that are a bit cheaper! UGH! I JUST BOUGHT NEW RUNNING SHOES!!! LOL, why are Brooks on mega sale now?! Darn you, Katie! ;) Jared and I are hoping to hit up our farmers market tomorrow morning too, I can't wait! Enjoy your weekend!! I love your new shoes! I just got new ones so unfortunately I can't take advantage of that sale! Hope you have a great weekend!!!! I'm totally in love with your outfit today!! So cute! 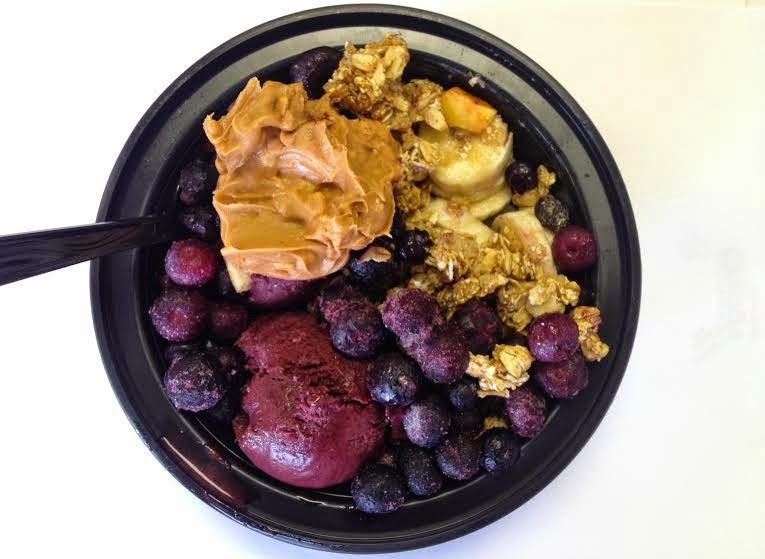 And that acai bowl looks amazing! Hope you have a great time at the farmers market & pool! Love the outfit, the shoes and those enchiladas! :) Happy friday!!! how have you been liking the brooks so far? i have the ravenna 5 and love them so far! White in the summer = the best. I love my Mizunos for running. Brooks are awesome too. We have a Vitamix and love it. You can't go wrong with either one of those. And yes, those enchiladas look amazing! Yum! Summer really is the best. 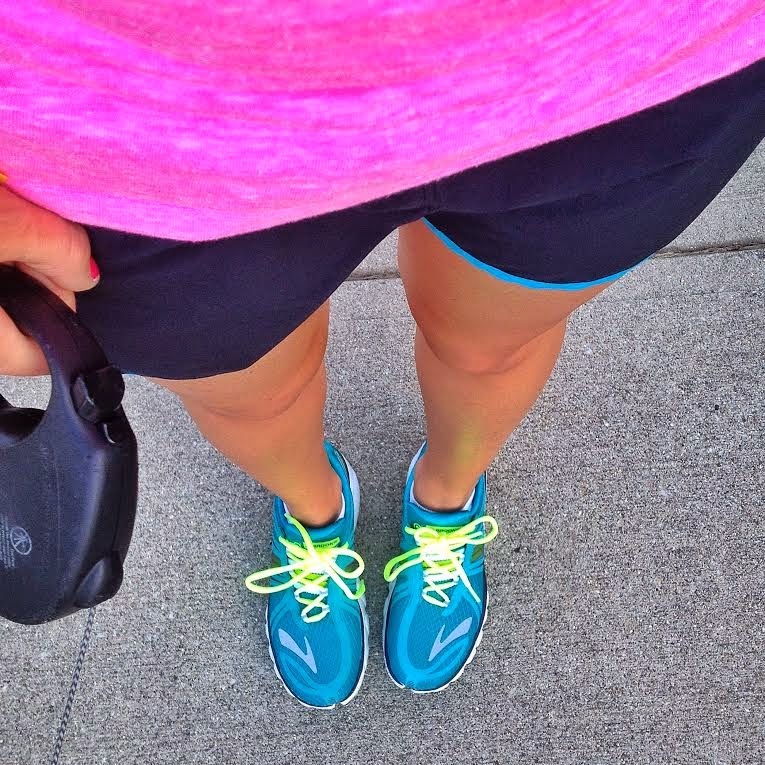 Love those running shoes! The patriotic outfit is awesome, that scarf looks amazing. Happy Friday! 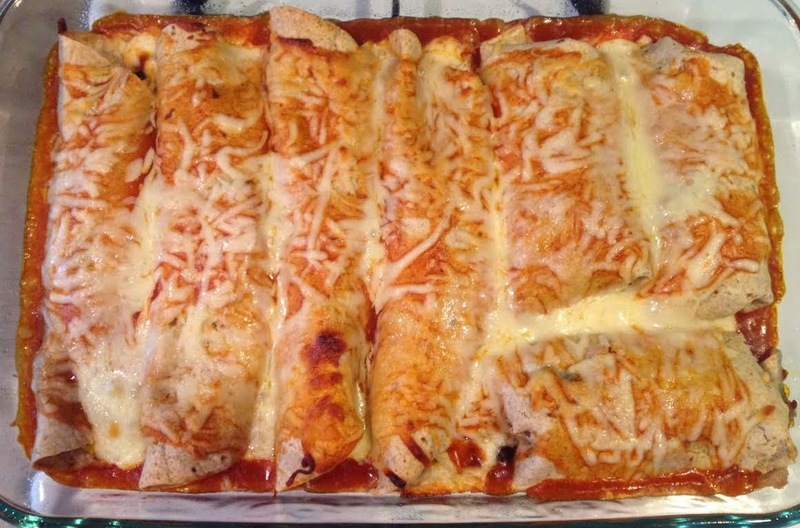 Thank you so much for the enchilada link, those look amazing! I have a nutri-bullet I use to make my smoothies and I think it works wonderfully! I would love a vita-mix or blendtec but since I only use it for smoothies I am not willing to splurge at the moment. Have a great weekend! I I have a vitamix and love it!!! I really need to just bite the bullet and invest in those Tory Burch Miller sandals!! Just splurged on a pair of TB flats! I have been looking for good white jeans all season and I can't find any that aren't either super tight or kinda see-thru. I'm adding that recipe to my meal plan very soon! I'm loving the white pants today, I'm wearing some at work today! And I love that bag! love your patriotic outfit, I'm also a lover of anything white during the summer! Oh how I miss those farmer market days, have fun! I'll be soaking up the sun or jumping in the pool this weekend! Acai bowls are my one of favorites. I love to go to my local juice shop and get one after hiking. I'm a big fan of the Vitamix! PS those enchiladas look amazing.